Are you buying or selling a home? Are you looking for an investment property? In either scenario, it's important that you work with professionals who know the local real estate marketplace inside and out. As one of the premier real estate companies in Prescott, AZ, The Bergamini Group delivers superior customer service experiences tailored to our clients' needs. We train our staff in every aspect of the business from sales to customer response. This helps our team understand the buying and selling process from the clients' perspective. By doing this, we've been able to deliver quality, customer-focused services. Our professional team responds quickly to any questions our clients have before, during and after the sale. When it comes to house selling services in Prescott, AZ, it's all about customer satisfaction – not our bottom line. 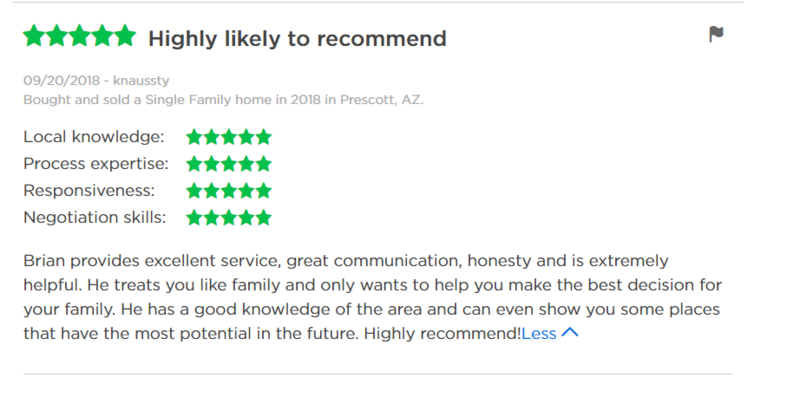 We're committed to being the best Real Estate Team in Northern, AZ. What's the secret to our success? There's no secret really. We simply make our customers the top priority. Ready for your next move? Contact us anytime. Our friendly, professional team is here to help you buy, sell and/or invest. With our comprehensive home selling services in Prescott, AZ, you'll be living in your forever home in no time.